1 Three day tickets with BalCCon2k16 Badge are available! Three day tickets with BalCCon2k16 Badge are available! 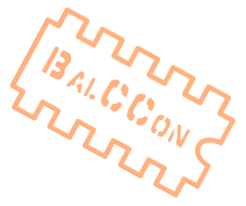 The BalCCon pre sale tickets will close on September 7th 2016 at 23:59:59 CET. BalCCon will cost us much more than standard tickets priced at 3000 RSD / 24 EUR will pay. Thus we’ll sell supporter tickets for 5000 RSD / 41 EUR and 6000 RSD / 49 EUR. Please consider buying one of these. Help us minimize our losses and support others who can’t afford paying much more! If for some reason you have trouble paying the full entrance fee, please send as an email on tickets (at) balccon.org and we will find a solution together. For more information see the About the tickets section. Up-and-coming FREE BalCCon2k16 Badge NOT included in ticket price, birthday after 05.09.1998 (younger than 18 yrs. ), registration is necessary! If you feel you can afford it, and if you feel that Congress might be worth it, please consider buying a supporter ticket. We sell these in two versions, one for 5000 RSD / 41 EUR and the other one for 6000 RSD / 49 EUR. Which one you choose, if any, depends on you. We are eager to support the young generation, so we offer free tickets for everybody up to the age of 18 (Birthday after 11.09.1998). Please bring a document stating your age. As the years before we have an on-line ticket sale. Go there, get an account and order your Tickets. The on-line ticket sale closes on September 07th 2016 at 23:59:59 CET.